Leading companies are making digital transformation a reality with data and intelligence at the center of their future. They are building new capabilities, skills, and technology, and evolving their culture to transform into an ‘Intelligent Enterprise’ and achieve the aforementioned outcomes. These companies are not only delivering short-term value to shareholders, but are also positioned to thrive and transform their industry. 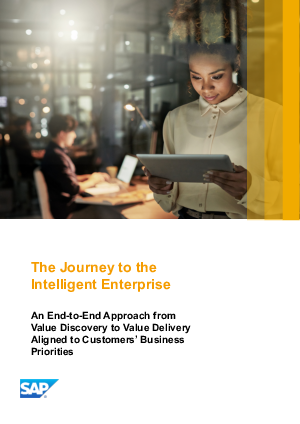 Explore how SAP can help you navigate the journey to the Intelligent Enterprise.